Beautiful, loose shorts in sparkly white and green floral lace. 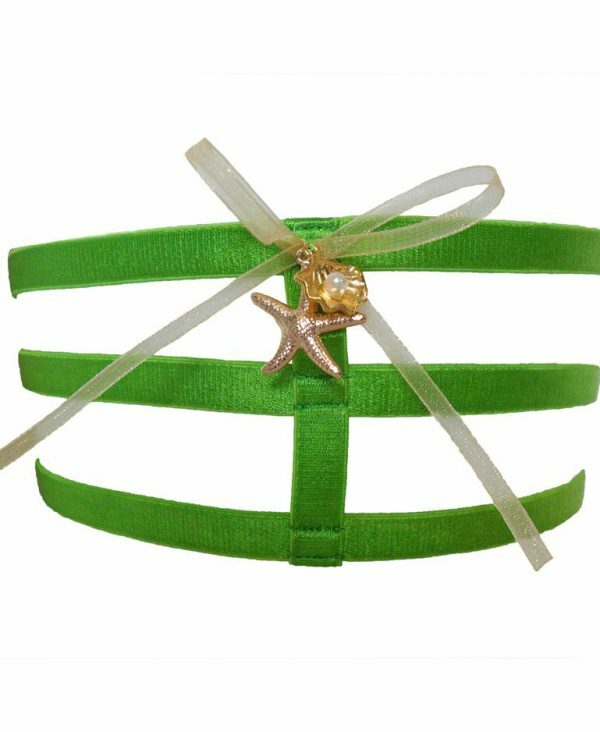 Slits at either side, topped with gold organza bows and sea-inspired charms. 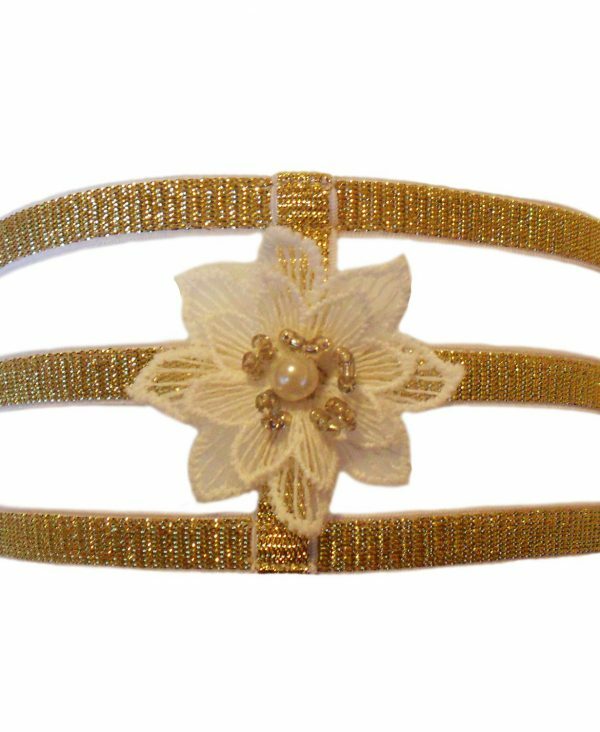 Each side features a gold starfish, and a gold clamshell with white faux pearl centre. Finished with delicate picot edging. Please note this design is completely sheer with no gusset lining.